PGH Quick Take – Tim is Out! 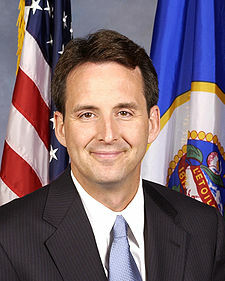 Tim Pawlenty has officially withdrawn from the race for the Republican nomination. As I noted in my Tim is In! post, Pawlenty had to pretty much win the Iowa straw poll to have a chance. And he didn’t. In fact, he came in so far back in third place as to make people forget that Newt Gingrich barely even registered in voter’s minds. Brad Woodhouse, communications director for the Democratic National Committee said, said the poll results were an example of how out of touch the GOP is with the rest of the country. “A former two-term Governor of a neighboring state, a social conservative, a person who on paper should be everything Republicans should consider in a candidate for president, was run out of the race because he wasn’t extreme enough,” Woodhouse said in a statement. So with Pawlenty out, the path forward is paved on the choice between three people. Mitt Romney is the establishment candidate (the “next in line”). Michele Bachmann is the ultra-right wing tea party candidate (complete with hypocrisy of chastising the stimulus law and chiding government subsidies while begging for stimulus funds and taking government subsidies). And Rick Perry, who is trying to be both establishment and tea party, and probably ending up being the worst of both. And we still have 6 months before the first primary voting. Fun.